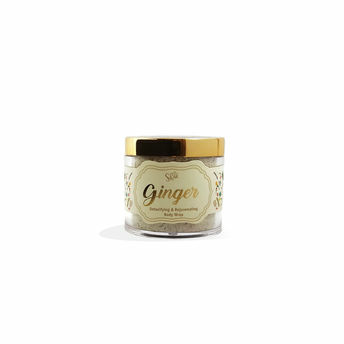 Shae's Ginger Body Wrap is blessed with the detoxifying properties of Zeolite clay and green tea that absorb the impurities from deep within pores. Ginger and ginger grass essential oil improve blood circulation, while the wrap helps flush out toxins trapped underneath, reducing appearance of cellulite and promotes healthier looking skin. Additional Information: Shae brings to you a range of all natural beauty and skincare products, with their roots deep in the heart of mother nature. Free from harmful chemicals and synthetic elements, the range of Shae products include facial grains, clay masks, body wraps and polishes, gentle sugar scrubs, deep moisturizing massage bars and luxurious milk baths. Each product is handcrafted with care from some of the most bountiful produce nature can provide us. Explore the entire range of Scrubs & Exfoliants available on Nykaa. Shop more Shae products here.You can browse through the complete world of Shae Scrubs & Exfoliants .